Padded adjustable shoulder straps that can be stowed away for protection during transit,sternum strap and waist belt Back support. Internal and side compression straps Top quick access pocket and 1 side stretch pocket. 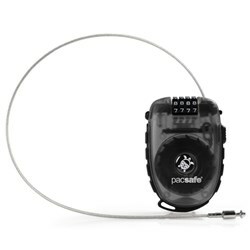 The Pacsafe Vibe 30 - Black has many exciting features for users of all types. It's one of FactoryOutletStore's best selling Pacsafe Vibe. 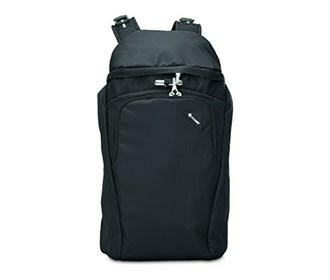 See the Pacsafe Vibe 30 - Black gallery images above for more product views. FactoryOutletStore stocks a full line of accessories like 4 Dial Retractable Cable Lock and Combination Lock for the Pacsafe Vibe 30 - Black. 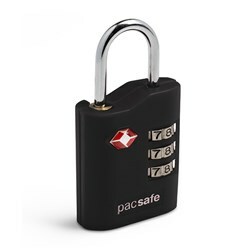 The Pacsafe Vibe 30 - Black is sold as a Brand New Unopened Item.